Perhaps the easiest way of publishing your own RSS Feed and improving SEO is by simply creating a blog for your site. Blogs are fun to maintain, and a good way of adding fresh content to your site on a regular basis. Blogs have increased exponentially in popularity since their inception and chances are, many of your customers are regular bloggers. 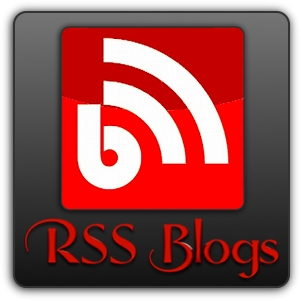 A well constructed blog will automatically generate an RSS feed and update it immediately when new posts are added. All you have to do is post new entries. Because search engines give preference to sites that regularly publish fresh content, this will help to improve your overall SEO . The most popular blogs are created with WordPress or Blogger (a Google based blogging platform ... blogspot.com). Blogger is the platform of choice at Full Impact Web Design. We can create a blog on your site and also one on Blogger and synchronize the two together so you can post on Blogger's interface and your site will be automatically updated. The advantage of having two blog sites is obvious: SEO, search engines index both. Additionally, using Blogger allows you to make posts from both your computer and your smart phone. You can also set up your phone to issue "alerts" whenever comments are posted by your readers and your RSS feed updates automatically. Now here's where the magic begins. If you are good at writing interesting articles, another site could opt to use your RSS as an external feed. That creates links from their site back to yours without you having to provide a cross-link! Back links to your site, without having to provide reciprocal cross-links, are one of the best ways of increasing search visibility and moving your site up in the rankings. There are also other strategies we can discuss with you that will accomplish this same result. So, what's the bottom line? Creating an RSS feed means you are publishing fresh, optimizable content on a regular basis which increases SEO for your site and also doubles as a value added service for your visitors / customers. Posting to two sites (yours and blogspot.com), gives people multiple ways of finding your site since both will be indexed by search engines. Making your RSS available for use as an external feed, will provide "back links" to your site without you having to provide reciprocal cross links. This is one of the most effective methods of SEO.